We are ready for Silmo and looking forward to meet all our distributors and colleagues. Silmo is the place to be for all Optical ‘fans’. Please visit us in Hall 5 E059 to meet our new collection. This year we will present our new line daNicci by Eyefunc. 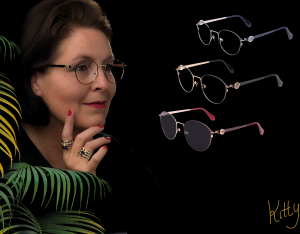 A patented line eyewear that look like jewellery, complete new for the optics industry. All designed by our designer Kitty, also responsible for the designs of the jewellery brand daNicci. Since 2007 we are present at the Silmo fair and do our best to impress our customers. This year we already travelled around with our new collection for feed back. 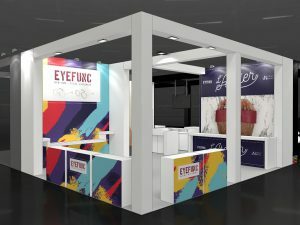 We can say that the new collection is the best since we started the Eyefunc brand. All designs are made ‘in house’ by our designers and for the colors we work together with specialists. The result is a unique colorful and very commercial collection. All produced in stainless steel by our selected Korean factories. Maybe you are searching for a (new) brand? You are distributor, agent or optician? Do you need some fresh frames? You want to surprise your customers? You want to earn some money? You want to make your customers happy? YES? Please come and convince yourself of the possibilities we can offer you.